Goodreads synopsis: Marybeth still couldn’t believe that she’d survived this long with a friend like Darrin, but somehow she’d managed to beat the odds and not give in to temptation and smother him with a pillow while he slept. My thoughts:I Love the neighbor from hell series. I stumbled over the first book as an freebie at Amazon last year when I just had bought my kindle. Didn’t know what to expect but I laughed, cried and loved the first book and off course had to read more. This is the sixth book in the series and the journey have been great. It’s sad to think that is soon over. If I’m remember correctly there only gonna be 10 books. This book however was not my favorite but it still was really good. Hadn’t it been for the great emotional story line, I would probably not have liked it that much. Because it was a little to much drama and deceiving. Darrin is an great character. A little to chicken for his own good. That’s the same for Marybeth to actually. Then we have the family Bradford. Haha. You can’t do anything other than laugh. They are just so fantastic and if I ever would meet a family like that I would be terrified since I know how to cook, cook pretty well and actually likes to cook. Mathewson says that you can read the books in the series as a stand alone, except for this one. Because Darren and Marybeth are also in the fifth book (not with a big part) and the main characters from the fifth book have a big part in the this one (makes sense? 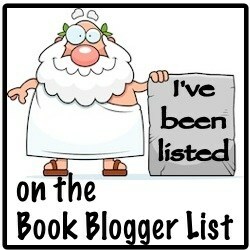 ), so for your own peace of mind I do recommend that you start with the fifth book if you not want to read the others. Me however has big problem with not reading series in orders even if they are stand alone or not. But that’s just me. One more thing, don´t let the books cover fool you. Every book in the series has something like that. I think the cover is kind of cheesy and not that appealing, but the books are so great. To bad how a cover can be destroying.